By IHI STAR Machinery Corporation based in Chitose-shi, JAPAN. PTO shaft included. 0 of rotor: 180 mm. No. of RPM 1700. Hydraulic jet control. Retable cable for terminal orientation. No. 2 counter-knives. Lateral skids. Wheels dimension: 5.00.16. 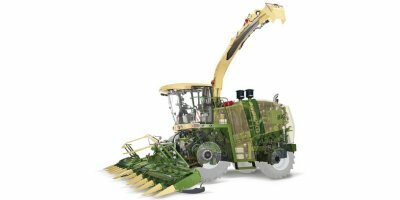 By KRONE GmbH & Co. KG based in Spelle, GERMANY. 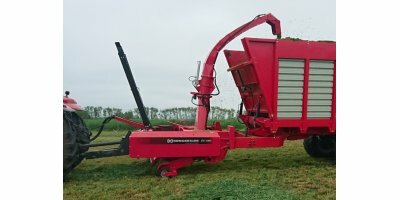 Double-drum stripper header «Agro-Soyuz-Slavyanka» is designed to harvest grain crops and grass seeds by means of direct combining. 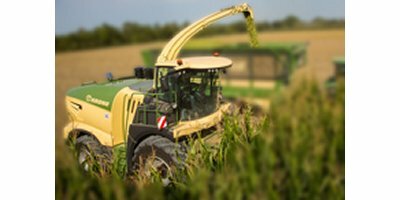 By Agro-Soyuz Holding based in Yubileyny town, UKRAINE. For interconnection with existing wagon. Upper Cut, low fuel consumption. 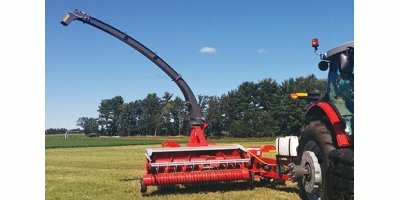 New reinforced cutting drum, higher capacity with the same input.Wide feed intake, better flow and thus higher capacity. New control box, higher comfort and easy to operate. Pro-Tec clutch protection, reduced impact on the transmission. Easily load to the left or right, the stinger raises up to a height of 18.5’ (5.6 m) with a length of 18’ (5.5 m) and offers 280° rotation with a 4 m minimum reach. The modular design is convertible from the side loading to a trailed loading configuration. 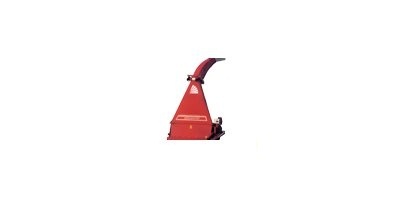 By Simba Farm Machinery Export Private Limited based in Ahmedabad, INDIA. By Staalmeester based in Klerksdorp, SOUTH AFRICA. By Huestis Farm Supply based in Bridport, VERMONT (USA). Upper Cut, low fuel consumption. New reinforced cutting drum, higher capacity with the same input. Wide feed intake, better flow and thus higher capacity. New control box, higher comfort and easy to operate. Pro-Tec clutch protection, reduced impact on the transmission.